The Breadboy is a real highlight from the German company Wesco, showcasing the company’s stylish and good looking design in a lovely lime green bread bin. If style combined with functionality is what you look for when searching for lime green kitchen accessories then look no further. 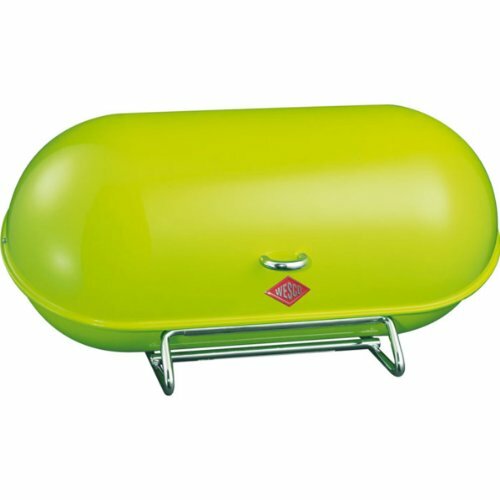 This spacious lime green green bread bin is able to hold a large amount of bread and cakes. The featured ventilated holes on the back of the bread bin ensure that all of the contents are kept fresher for longer. 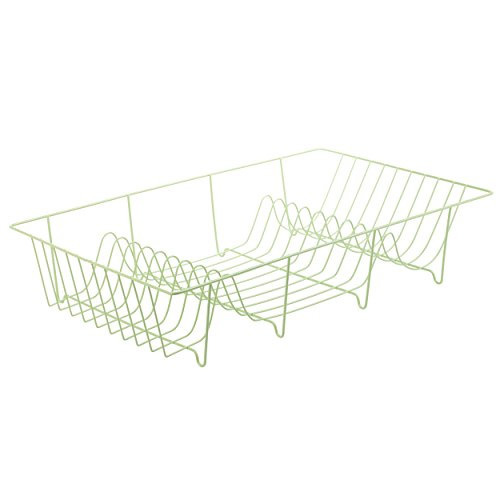 The bright green bread bin is stably kept in position with the chrome wire like base. 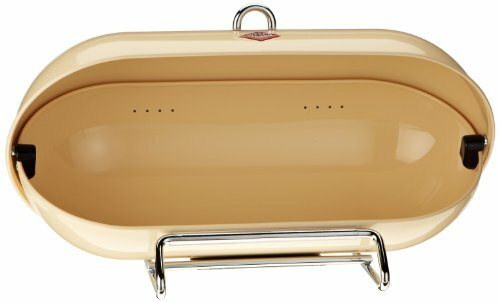 All of the contents is easily accessible using the chrome handle to lift the sliding lid of this unique looking bread bin. The bread bin is made from powder coated steel and is finished in the same lovely bright lime green found on many other kitchen accessories from the Wesco range. You can effortlessly create your dream lime green kitchen design when choosing kitchen accessories from the Wesco range. Since they have so many kitchen accessories in lime green to choose from. 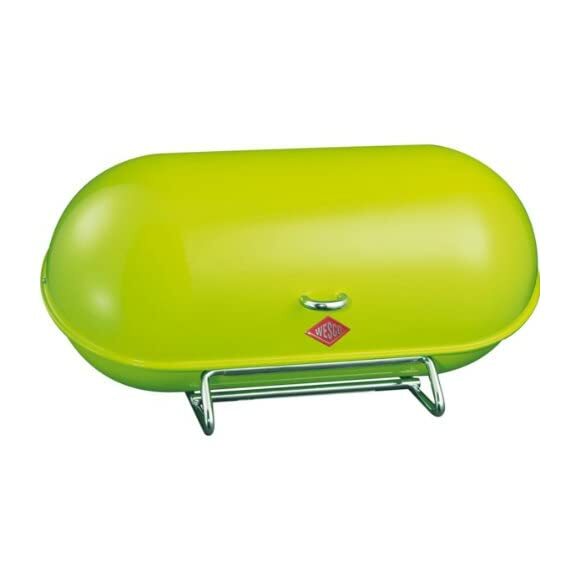 This stunning lime green bread bin features iconic 1950’s styling that will delight lovers of all things retro and anyone who loves modern design. All in all this is one very stylish and well made bread bin to consider if lime green is your colour of choice for the kitchen.